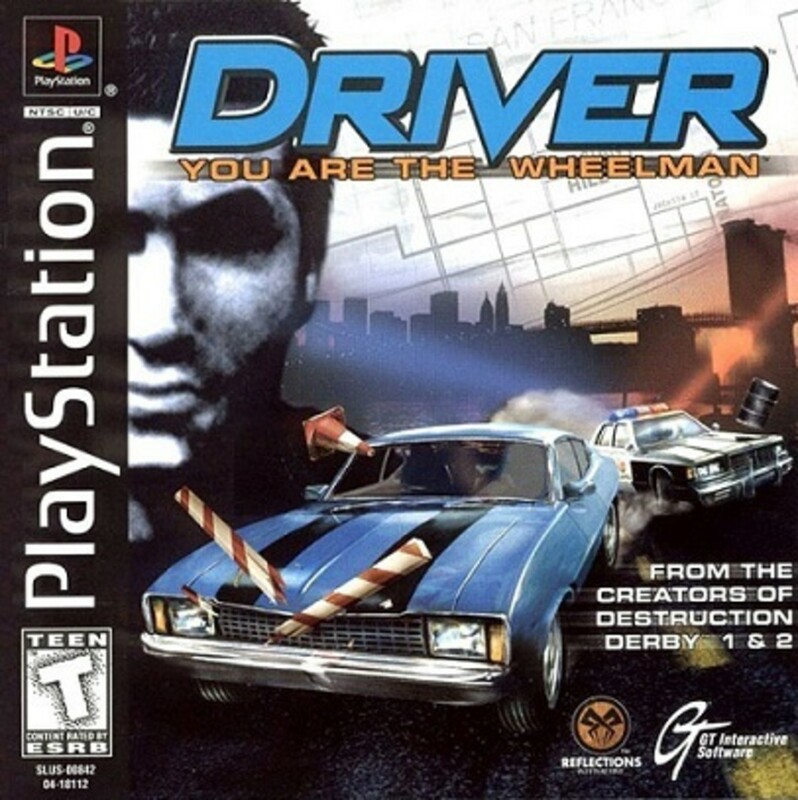 That tram is both the coolest intro and the most annoying intro to a game. It is a mind blowing experience the first time, this train ride telling you about yourself and where you're going, showing you all of these different areas to this massive research complex that you happen to work at. 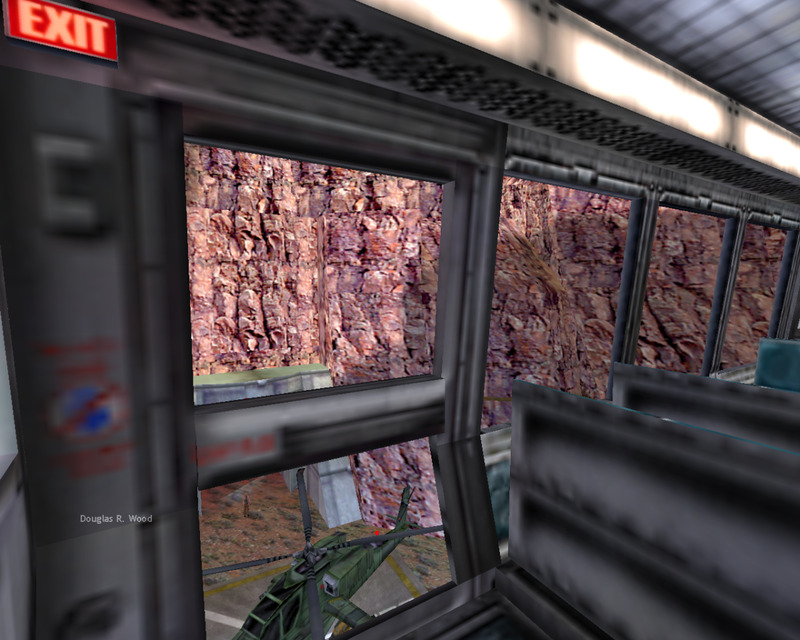 I have always thought that the train ride in to the Black Mesa Research Facility was a fascinating and unique introduction. From the start, they manage to convey a mammoth complex, so big it is truly hard to perceive entirely. The train does a pretty cool job of showing a lot of things going on all while it shows countless areas of the facility that you’ll never even explore. What I’m saying is that this place is so big they are able to show you miles of it that you don’t explore and still have miles of it for you to explore later. It gets old when you go through the intro enough times to follow along word for word but the ride in really is something. So you finally get to your stop, only to wait 10 minutes for Barney to mope his way over to open the train door. Come on Barney, I got shtuff to do! When he lets you through the blast doors to make your way on to the test chamber, you are let in on the stress of the system failure locking you out of the facility. This is one hell of a way to start the day, first you wake up late for work, then you get to work only to be locked out, now everyone is avoiding you and being pissy because you're late and now Barney #4 is telling you that you aren't even in the system for access, friggin anomalous materials and their shenanigans. The tension mounts. All along your way to the test chamber you are given some pretty subtle hints (some not pretty subtle) that maybe this experiment is not going to work. You're just a grunt, lil ol MIT grad you, couldn't have possibly figured out not to do exactly what you did. Now, resonance is cascading all over the place. The story at this point is right where it needs to be and the coolest thing about it is how little there is going on to actually tell you the story. This is an epic research center and it happens to be the premise for a shoot-em-up game, I find it impressive. It has all of the setup for an adventure game just from the story. 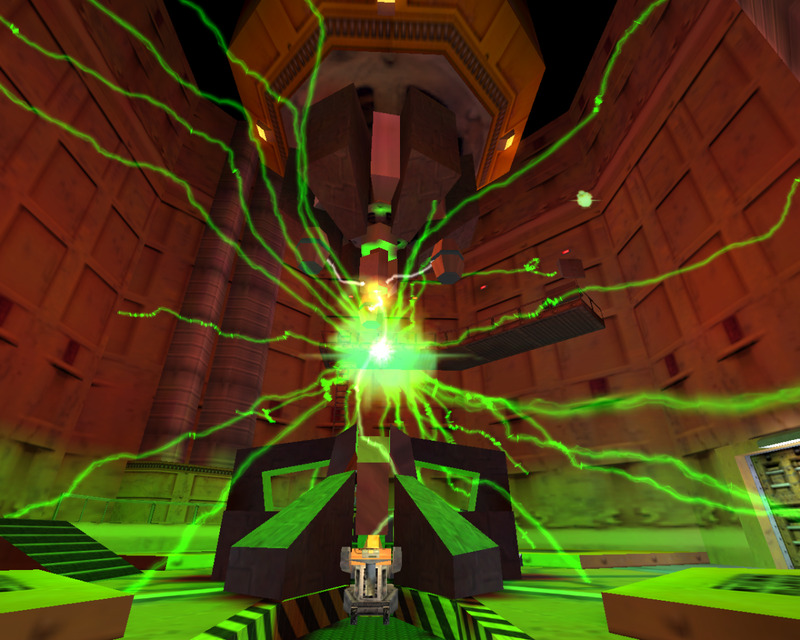 Not many people get to experience a resonance cascade but Half-Life throws you headfirst into being the idiot to create one. Literally EVERYTHING goes wrong in front of you and some pretty scary things go down; there is a crazy lightning show going on around you, the machine is tearing itself apart, the facility is taking a really hard hit, debris falls from the ceiling, the walls shake, and everything gets real. You can hear the scientists that were controlling the experiment, all screaming over one another, trying to shut everything down. “Attempting shutdown”, you hear, “no… it’s not… it’s not shutting down” when several explosions fire off. Everything louder than before, explosions going off, scientists screaming, the machine winding at a quickening pace. A jolt of electricity leaps into the control booth setting off an explosion, instantly killing all of the crew inside. There is no hope of stopping this thing, everything goes black. You are no longer in the lab but in a foreign world surrounded by creatures you’ve never seen the likes of. No sign of any fellow Black Mesa staff; no researchers and scientists, no guards, no buildings even. Before you can make heads or tails of where you are, you hear an odd noise stir that quickly grows in volume. You are suddenly back in the middle of the collapsing lab with chaos all around you. Then you are warped away again to what seems to be another part of this alien world. Mute apparently, Gordon freeman never says anything and that is truly GENIUS. It could be a deep implication that Gordon only has the player’s voice; Gordon never speaks because that gives a set voice to the character instead of the player’s internal narrative. It could be as simple as the character being mute; every character you interact with seems to be perfectly at ease and completely comfortable with Gordon’s silence. 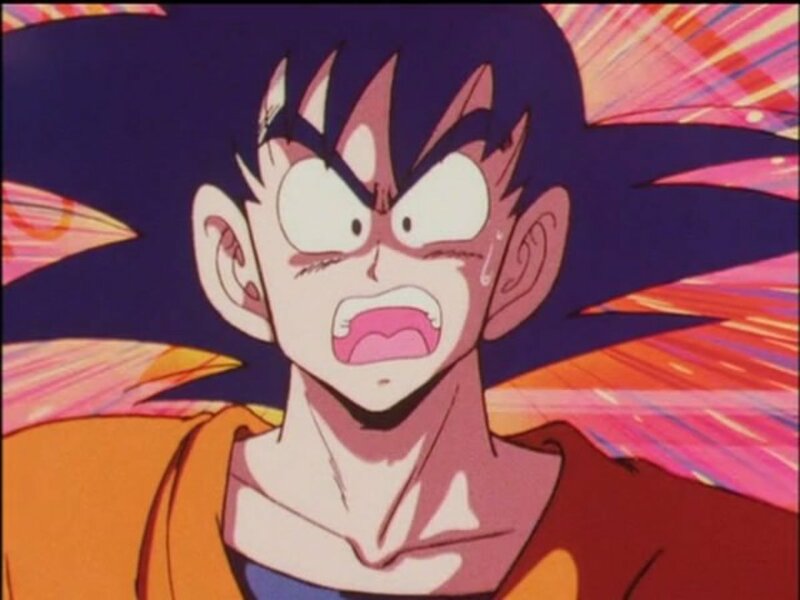 Perhaps we're over thinking it; maybe they wanted to save money on voice acting. 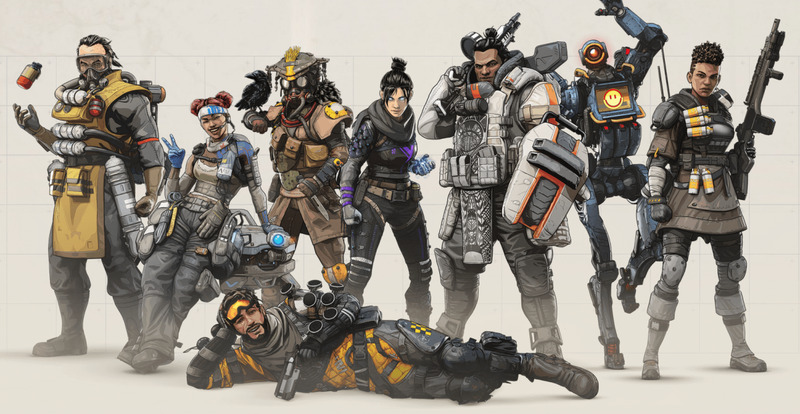 Any way you decide to look at it, I am glad we didn’t end up with terrible voice acting or an annoying vocal tone for one of my favorite main characters. Gordon sounds exactly like whatever you think he sounds like. It is really cool to have a story happen all around the character without the character ever saying a word. You don't get speech options to guide a conversation a certain way to give you a hint at what is going on. There are no cinematics in the game to give any context (until Half-Life 2 - Episode 2), not even pre-rendered videos (again, until Episode 2). There isn’t even a Metal Gear Solid mission log to read, to let you know where you are in the game. Direct interaction with scientist and guards is about the only thing telling you what’s going on (some eavesdropping required), all the while you remain perfectly silent throughout the entire game. I like the strong silent type myself. I don't know about the dude on the right, he's a little shifty. 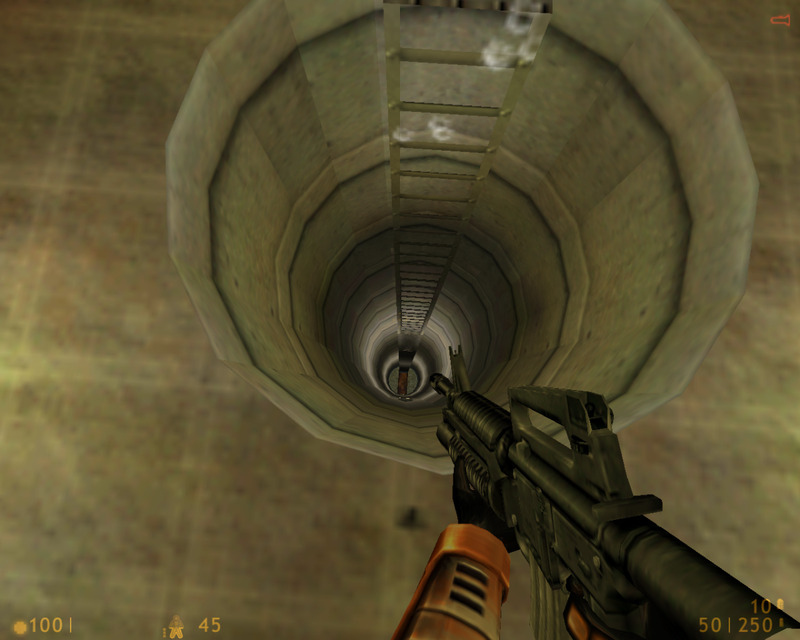 The first time I played all the way through the first Half-Life game was an endeavor. It seemed like it took me 2 months to finish. Every single time I thought I was getting near a finish I kept sinking deeper into the game. It is cool because the game is so heavy on action with little bits to tell you what's going on story wise. You can get lost in going from A to B without missing anything crucial to the story. For a while after you start, the aliens seem to be coming more at a time and harder at once. Around every turn is a headcrab, down each hallway is a vortigaunt, on each ceiling is a barnicle. Once you get used to the aliens and their tactics, the military comes in to cleanup. By this point, you are navigating through a seemingly endless complex to make an escape, only to be distracted by signaling for help (in the form of launching a rocket). Getting to the rocket proves to be a task, especially with the military unit awaiting your arrival. If you make it through their traps and their guards, past the snipers that wait ahead of you down the line, beyond the proximity mines they have all along your path, and through the countless gun turrets camping out, you get to start your escape. It feels like you are making progress until an hour goes by and you are no closer to being topside than you were when you actually made it topside an hour and half before, it seems to just keep getting deeper. That's a lot of ladder. Okay, the music in this game isn't something you'd want to listen to in the car alongside your favorite Black Sabbath album but it does do the job and set the tone for what is going on in the game. Even though the music is laughable and not something I would listen to on my own, it does get me hyped up when I'm playing the game. Something about the Half-Life series always pulled me in and I can usually get into it enough (and I like HL2) for the music to work. So I won't say that it is necessarily genius for its composition but I will say that there is some genius behind its placement. More than anything, the genius in the music would be in the lack of it. When you get used to the game progressing in silence for pretty long periods of time (other than footsteps and gunshots), it has a huge impact on the experience when music comes in. Whether you’re looking for a creepy swell or a tense build up, prolonged silence does a great job of setting the player up for some intensity. At one point you come out in the open and all you hear is crickets. 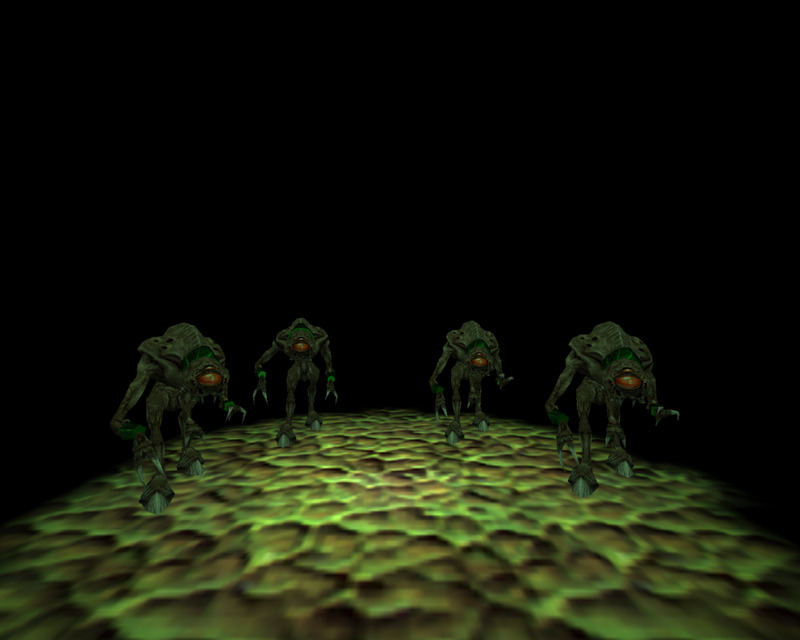 Crickets in Half-Life (to me) was the most eerie part of the game, as far as sound setting the mood. I had the feeling that there was a sniper, just because of crickets being the only thing making sound other than my footsteps. Once I had the thought, I started for cover just barely before the sniper's shot rang out. I used to think that more guns would be better but now I think that better guns are better. 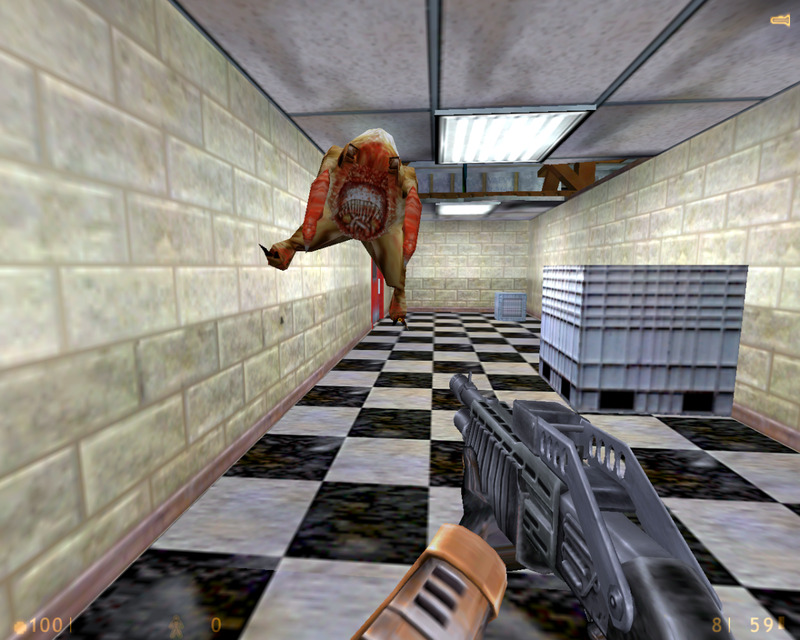 Half-Life doesn't give you an overwhelming number of choices when it comes to weaponry but it does give you many. 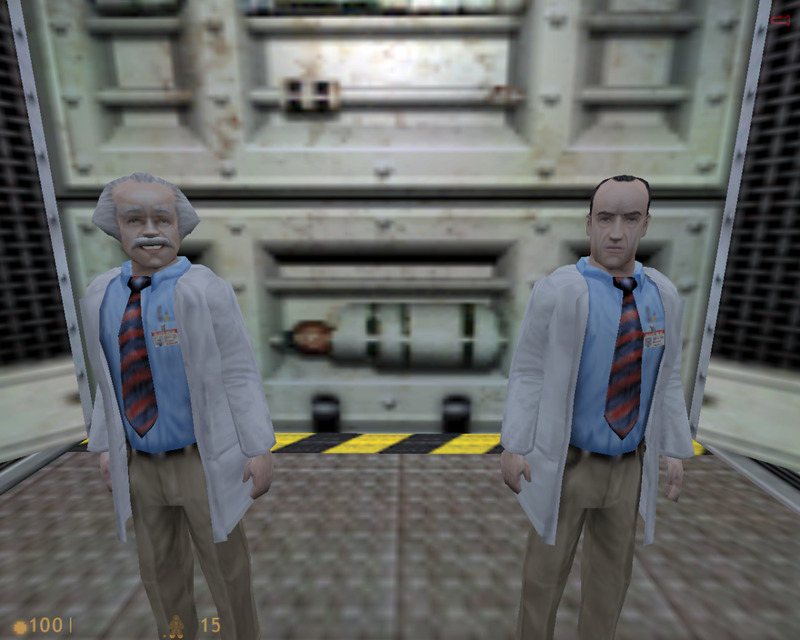 In terms of practical and sensible armament, Half-Life gives you a really good line up. You don't have to worry about addons, you simply need to find ammo for the gun you just picked up. They give you things like a revolver, a crossbow, pistol, shotgun, some type of assault rifle (with a grenade launcher), grenades and mines, friggin rocket launcher, and several others still. I like the way the shotgun makes cakes out of the headcrabs. Crab cakes, with a shotgun. One of the oddest and coolest highlights of a game yet; the crowbar. 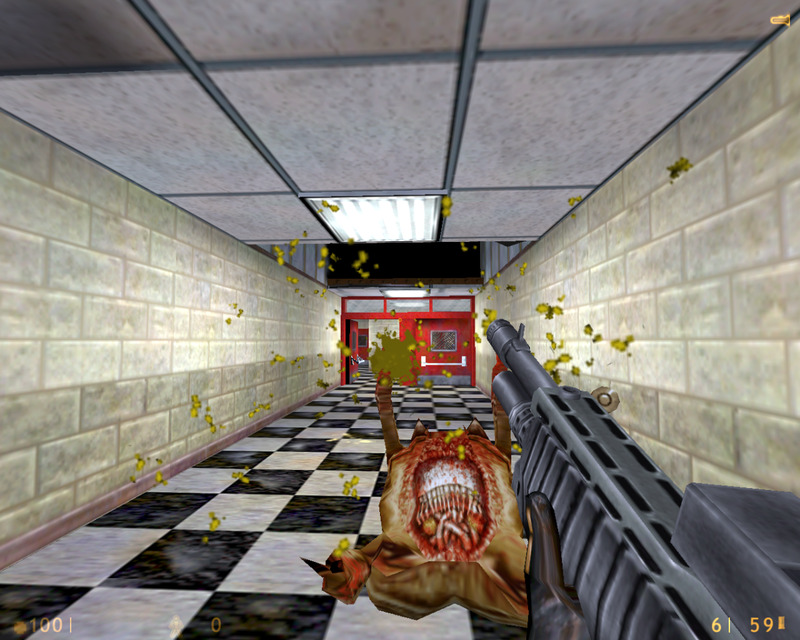 Doom was pretty great for giving us the chainsaw and Duke Nukem gave us the boot. Call of Duty uses knifing which wouldn't exist without these classic titles. 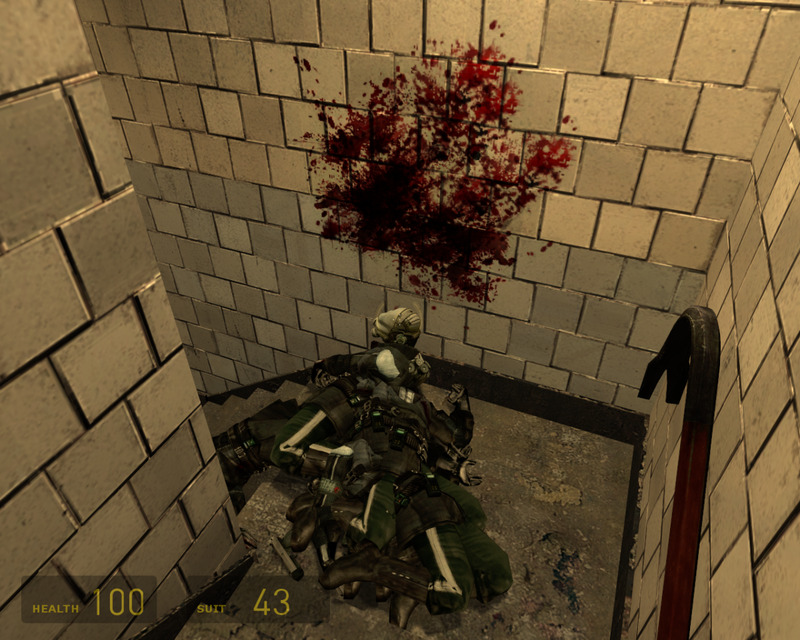 The first time I played Half-Life and really got somewhere with it, I was a little disturbed. It was bad enough that I was running around shooting and smacking military dudes and aliens to death but at one point when I was standing there listening to a scientist (giving me some info/instruction) with my crowbar equipped, I accidentally bumped the mouse button and WOW. That was startling; one unintentional swing of the crowbar (to the face) put the biggest blood spatter on the wall I've ever seen. Yes, that is Half-Life 2. 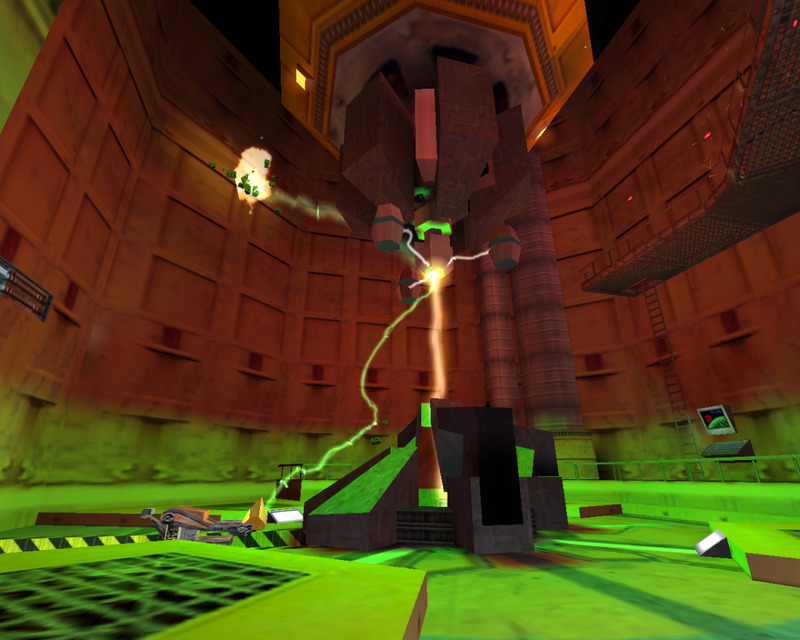 Half-Life is basically a combination of everything cool from science-fiction as a whole (to me anyway). Let's start with the scientific setting; you are a scientist that is constantly surrounded by scientists doing science. You can't have proper science-fiction without an experiment and every experiment should go horribly wrong the first time, giving the need to do it again. Not only does Half-Life give you the failed experiment but they also have it lead to the next point in science-fiction; Aliens. When everything turns south during whatever the hell that experiment was, you are briefly sent to an alien world and given a pretty cool view of alien life. 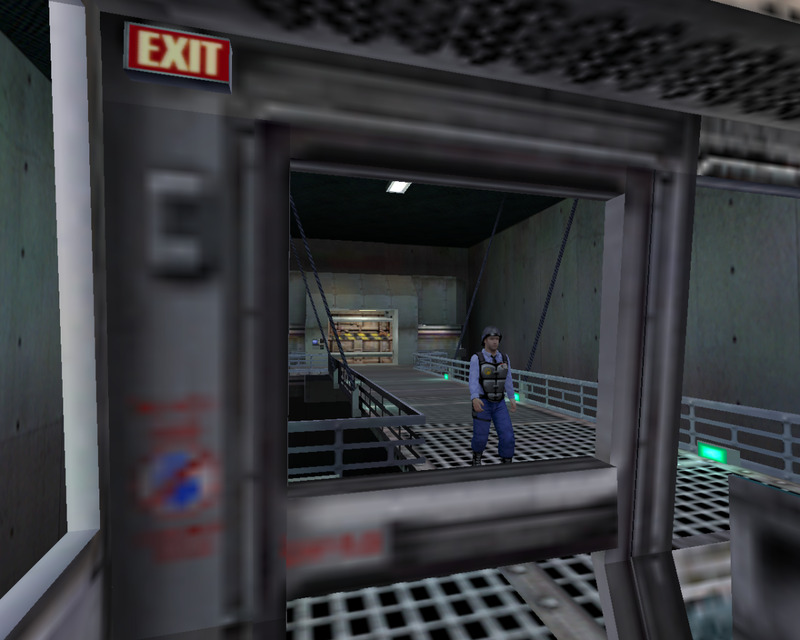 Your epic failure in the beginning of the game leads to aliens transporting to Earth, at Black Mesa. So aliens are attacking, the military is coming through to kill everyone as a cleanup, you have to rely on scientists to get you through retina scanners to make an escape, and you are told to send for help by means of a communication rocket (of sorts). 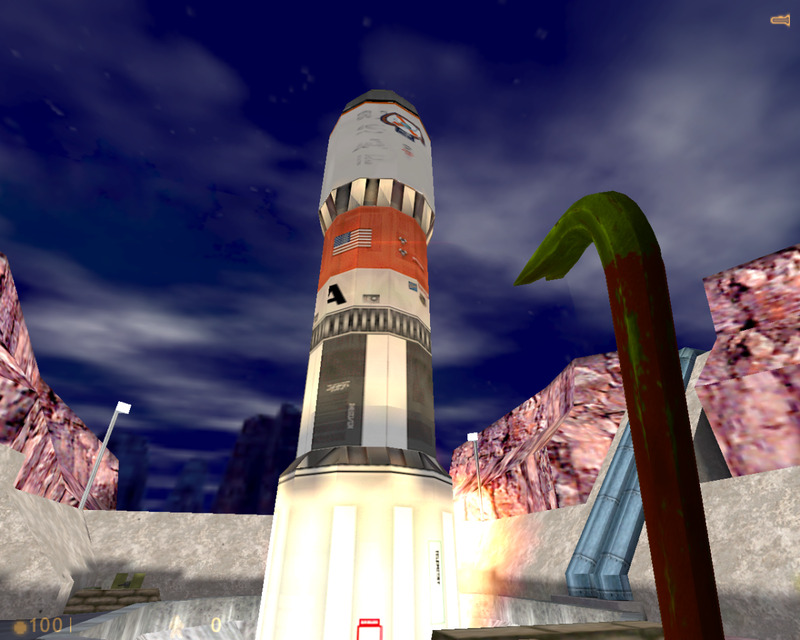 Half-Life literally has you launch a friggin rocket. You ride an incredibly lengthy monorail past all kinds of robotics and crazy science shtuff, you perform an experiment on a specimen from another world, you launch a rocket, and all while fighting through alien hordes. 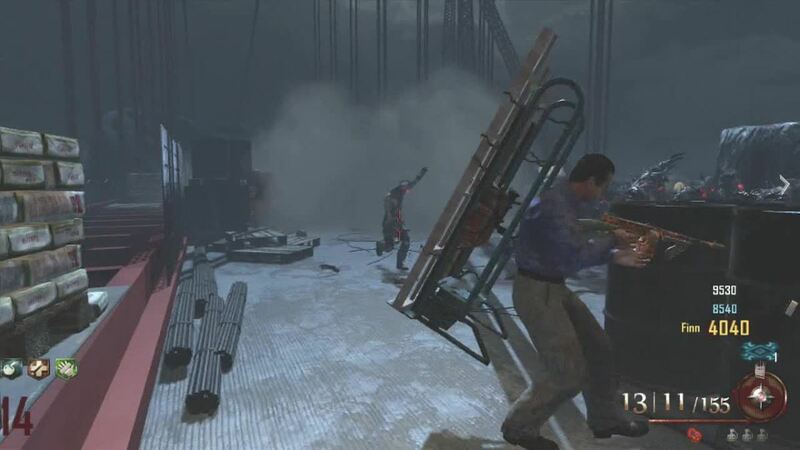 They even gave us a hint of zombie action with the scientists that fell victim to the headcrabs. What more do you want from a game? 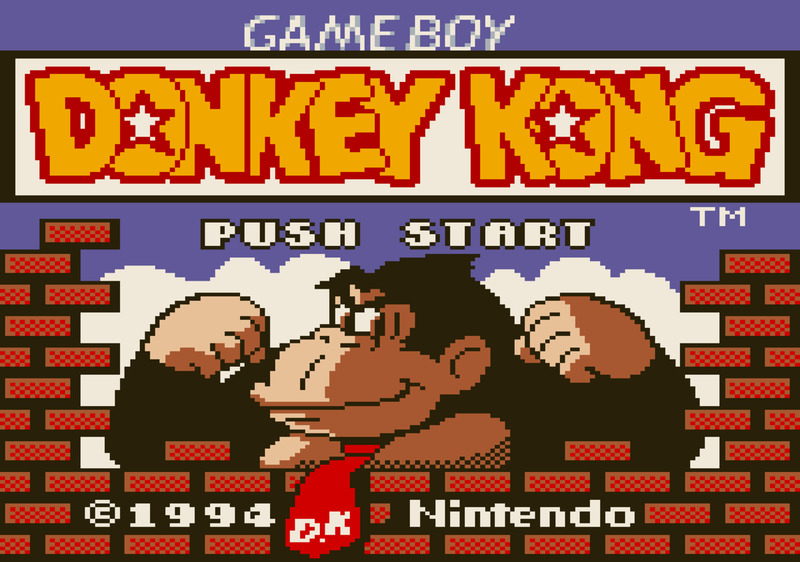 Why is Donkey Kong (94) SO Genius? "Tales of Symphonia" vs "Final Fantasy X"
Why Is "Driver" so Genius?